For decades, the Arctic was on the front-lines of the Cold War. Today, the region is changing at an unprecedented rate due to climate change, shipping, the extraction of natural resources, and the efforts of coastal states to secure offshore jurisdictional claims. This upper-year undergraduate course canvasses a range of political and legal issues, from the disputes over Hans Island and the boundary in the Beaufort Sea, to shipping in the Northwest Passage and the Northern Sea Route, to the assertion of sovereign rights over areas of seabed more than 200 nautical miles from shore, to the protection of high seas fisheries in the Central Arctic Ocean. 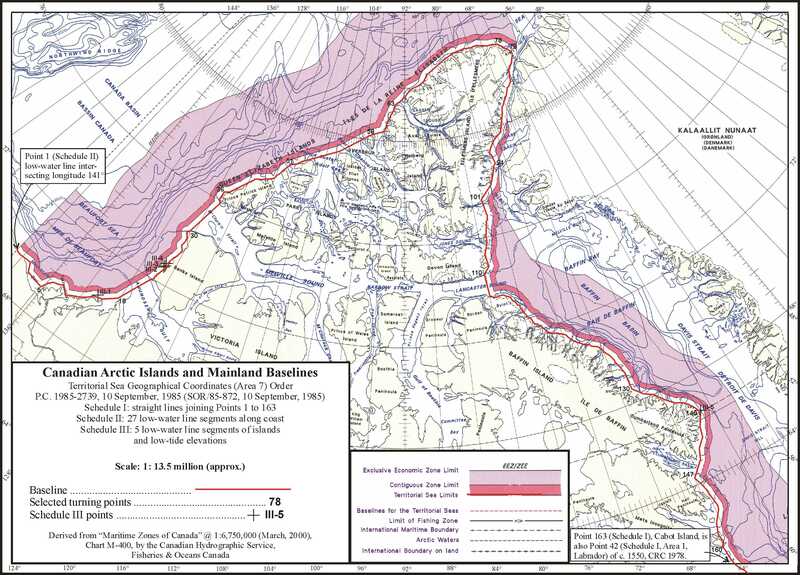 The environmental, security and geopolitical dimensions of a rapidly opening Arctic will also be considered, along with the role of indigenous peoples and the Arctic Council. Michael Byers, "Onto the Rocks"
Michael Byers & Emma Lodge, "China and the Northwest Passage"
Thanks are due to research assistants Gregory Sharp and Emma Lodge. All mistakes are mine. WASHED by the shallow waters of the Tumen River that divides Russia and North Korea, China’s Hunchun has few tourist attractions other than a coin-operated set of binoculars, on an elevated platform, that lets the occasional visitor survey the three neighbours’ only junction. But if business expands along Arctic shipping routes linking the Atlantic and Pacific, this obscure city of little more than 200,000 could become “an international shipping centre equal to Singapore”, Xinhua, China’s state-run news agency, claimed last year. China, having styled itself as a “near-Arctic nation”, is jockeying to play a greater role in the contested High North. Beijing attained permanent observer status to the intergovernmental Arctic Council in 2013, but experts say its ambitions are beyond those of a passive onlooker. Workers are about to complete the handling infrastructure for partly damaged spent nuclear fuel at Russia’s Andreeva Bay. About 22,000 spent nuclear fuel elements from operation of Soviet’s fleet of submarines are stored in three dilapidated concrete tanks a few hundred metres from shore on Russia’s Barents Sea coast. That is equal to around 100 reactor cores. No other places in the world are so huge amount of highly radioactive uranium fuel stored under such bad conditions. Removing the waste-elements is considered to be the most risky nuclear-safety operation ever to happen in the Russian north. 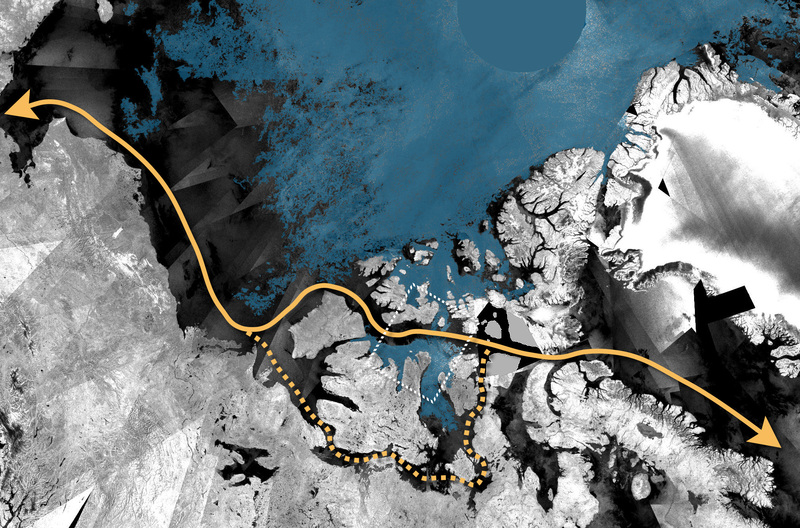 As global warming melts Arctic ice, Moscow hopes to resurrect the historic Northern Sea Route between Europe and Asia. But the challenges — and the costs — are immense. I once met a bear while hiking in the Rocky Mountains. A big bear, who squinted at me and sniffed the air. When I backed away, he followed me, muscles rippling beneath a grizzled hump. With no trees to climb, I began to talk. “Good morning, Mr. Bear,” I said, and asked about his health. I commented on the weather, told him of my plans and, after a minute of idle chatter, he shrugged and wandered off the path. I was reminded of this encounter when, last month, Foreign Minister Stéphane Dion announced a shift in foreign policy. From now on, Canada will seek to actively co-operate with Russia in the Arctic. After a week of meetings in Portland, Arctic officials have put the final touches on an agreement to collaborate on research. The Arctic Council is preparing a treaty to be signed in the spring to promote scientific cooperation among the eight Arctic nations, a move that would benefit Maine scientists who need access to Russian territory and research for their work on topics ranging from climate change to how oil changes when it’s exposed to severe cold. David Balton, the United States’ ambassador to the council and the chairman of the council’s senior Arctic officials, hailed it as a groundbreaking agreement. The officials have been meeting all week in Portland to discuss policy issues that affect Arctic nations.